See you all at the splendid VINTAGE VOGUE Fashion & Lifestyle Fair this Sunday!! Absolutely can't wait for this fantastic event. 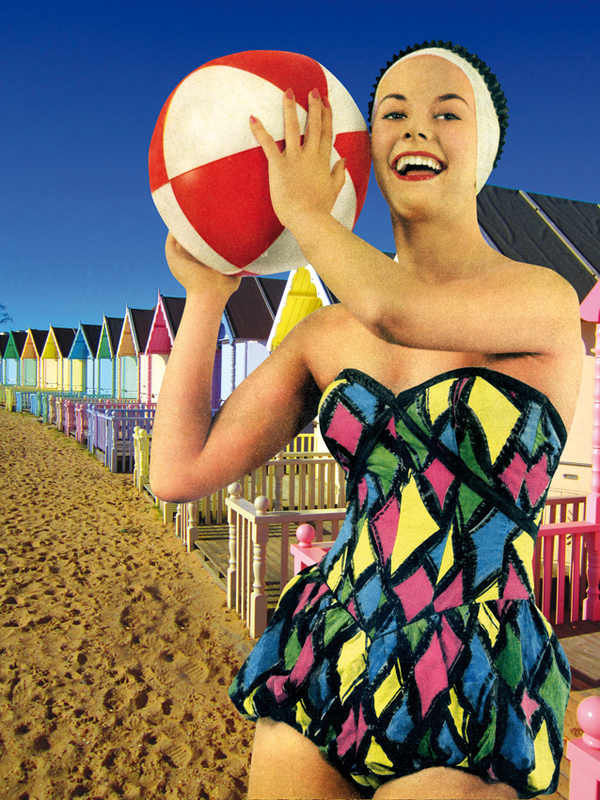 Remember this is the BIGGEST and BEST vintage event in the whole of East Anglia, so don't miss out! There will be clothes, accessories, trends, lifestyle, music, homeware and much more from the 1920s to the 1970s. And not forgetting the fabulous Vogue Tea Room! Run along to Brentwood School, Middleton Hall Lane, Brentwood, Essex CM15 8EE this Sunday. It starts at 10am and finishes at 4pm, see you there!! I'm off to Dorset tomorrow for a whole week, hooray!!!! Don't worry everyone, we've packed the brolly........! The weather might not be brilliant, but even in the April showers Dorset is still beautiful. We'll be visiting old haunts and exploring new places. We are sure to pop into Dorchester, Bridport and Lyme Regis along the way for some serious vintiquing (Sorry for the awfully trendy word there!). But remember, while I'm away you can still buy some of my work in 2 fabulous shops!!! 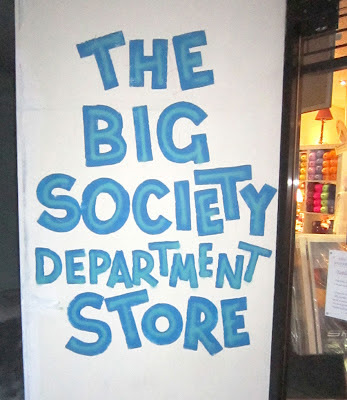 There is absolutely loads of my stuff in THE BIG SOCIETY DEPARTMENT STORE at 106 Hamlet Court Road in Westcliff-on-Sea, Essex. Have just put some new things in there as well, so hurry along! 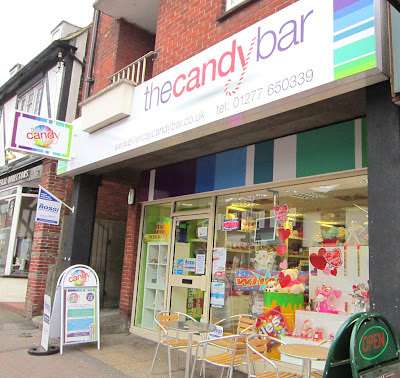 And if you are in Billericay, pop into THE CANDY BAR on 29 High Street to find my DAZZLING DECADES cards amongst the amazing selection of retro sweets. 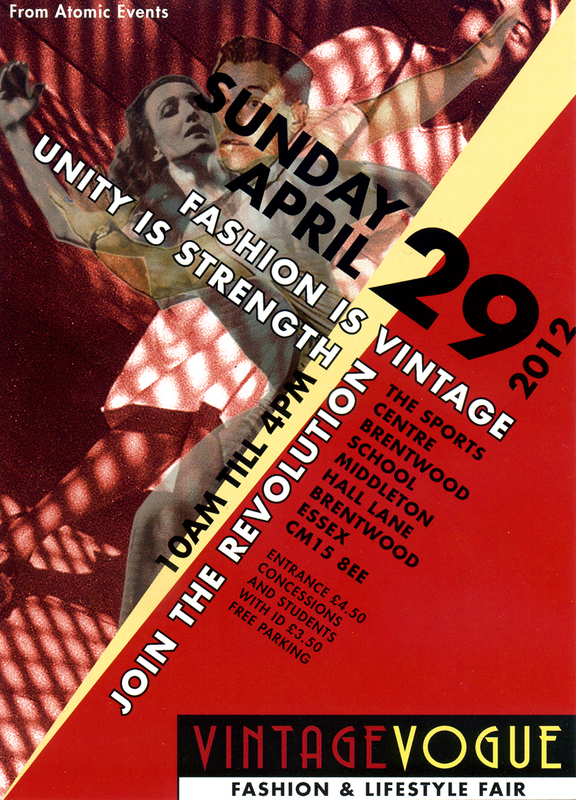 So toodle pip and see you all soon at the VINTAGE VOGUE FASHION & LIFESTYLE FAIR at Brentwood on April 29th!! 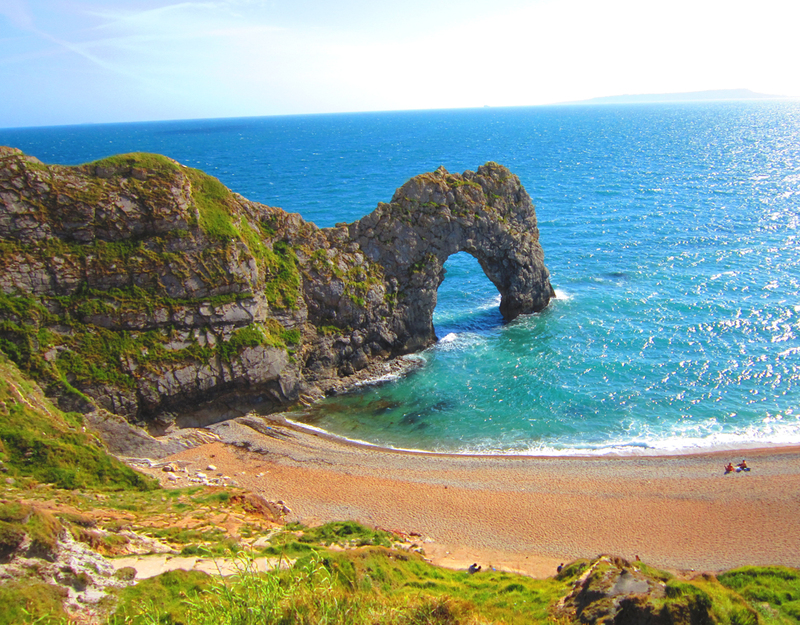 The delightful Durdle Door in Dorset. 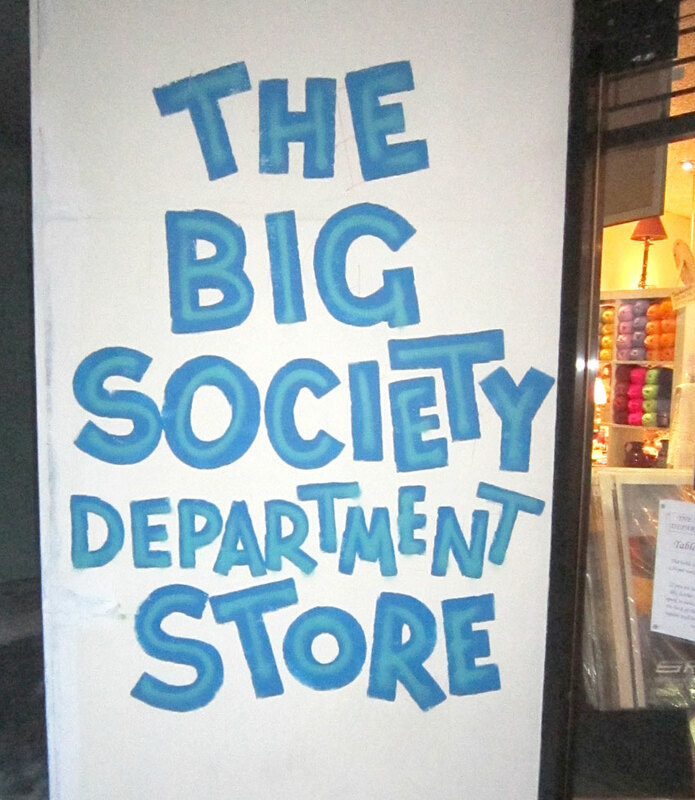 The Big Society in Hamlet Court Road! The Candy Bar sweet shop extravaganza in Billericay! Hello everyone, has been as manic as ever at work and at play recently!! As we have just had typical British holiday weather, thought I would show you some new works in progress to cheer everyone up! Some bright and colourful summery seaside pictures!! As always I'm using my own photos with some stunning vintage images added to them. In the collage you will notice some famous buildings along Southend seafront with the 1950s beach babes (male and female!) enjoying the sunshine! The other is one of the babes enjoying a day at Mersea Island, with the beautiful beach huts in the background. Both of these are still only works in progress, so the may change at any time! They may make an appearance at my next fair, the VINTAGE VOGUE FASHION & LIFESTYLE FAIR in Brentwood on April 29th, so come along to find out!